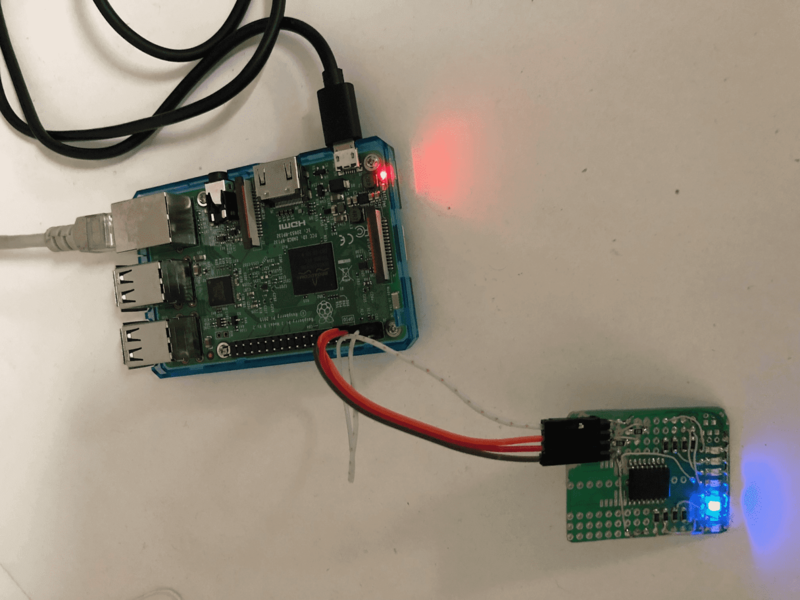 This article is about connecting Raspberry Pi as an edge point for sending signals to a light-emitting diode panel using Azure IoT Edge module. We’ll use Azure CLI for the majority of our steps and Azure Portal to deploy Azure IoT Edge. Here we’ll set up the Azure CLI, create IoT Hub and connect our devices. We’ll need to create a device identifier and then authenticate the device in the hub using its credentials. We’ll also need to use add-edge-enabled option to connect our Raspberry Pi to the Azure IoT Edge. This command will output specific device connection string. Copy the output string to a file or in the clipboard. We’ll need it later to connect the device to IoT Hub. We also used this command for creating an identifier for Raspberry Pi. 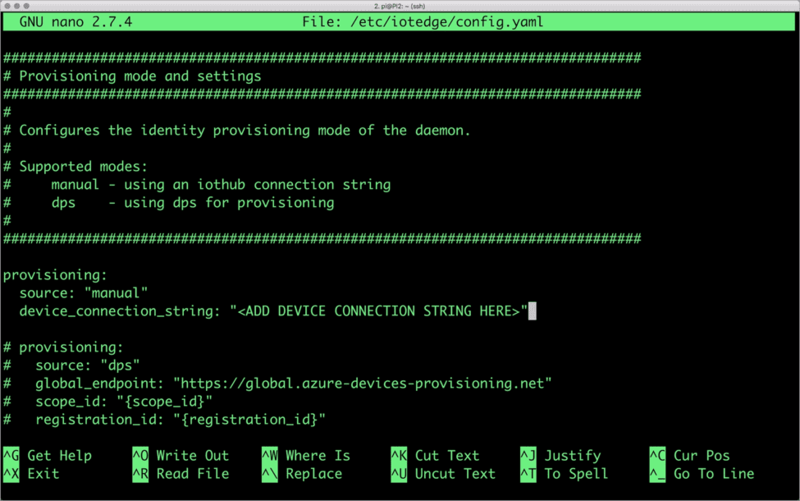 Open /etc/iotedge/config.yaml file in your preferred editor and replace “<ADD DEVICE CONNECTION STRING HERE>” with the specific device connection string we copied to the file or clipboard. Now we can deploy a module for managing a light-emitting diode panel. Open a browser and navigate to Azure Portal. Access the IoT Hub and, under Automation Device Management section, click IoT Edge. Under IoT Edge Devices section, select PI1 device, and click Set Modules. 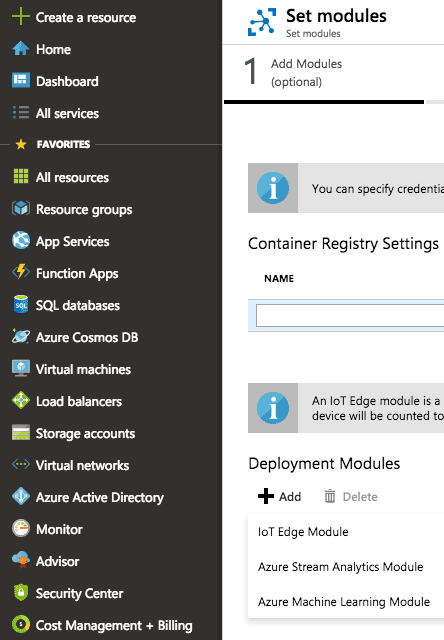 Click the Add drop-down and select IoT Edge Module to deploy a custom module. Now we will use Azure portal to deploy a container as a module. Before we start, let’s create a docker image and save it on Docker Hub as an example. In the Name field, enter or paste Matrix. This will be the title of the module. In the Image URI field, enter or paste janakiramm/matrix:v1. Since we access the local I2C bus on Raspberry Pi, we need to run the container in privileged mode. To enable this mode, under Container Create Options, paste the following JSON string. Complete the following steps by accepting the defaults. Click Save to accept the deployment. This will trigger deployment of custom module on the edge device. When the module is deployed successfully, on the panel connected to the Raspberry Pi the diodes will start blinking. Using Azure IoT cloud, you can create much more sophisticated and highly functional IoT solutions. For example, while basic functions run locally, you can instantly scale your custom solutions on the edge devices and send only actual data to the cloud. We find these capabilities very promising and exciting. There is a recent cool feature that distinguishes Microsoft services from other cloud service providers and, in our opinion, executes the WEB 3.0 concept of ultimate decentralization. We, of course, refer to distributed ledger technologies. Azure Blockchain Workbench introduced the opportunity for blockchain-based innovations using a globally available platform. Frankly speaking, few tools can compete with “wow-effect” pro-developed DApps (decentralized applications) deliver to end users. However, this is not about blatant crypto craze and ICO hype. Using Azure Blockchain Workbench, developers can add unique capabilities of distributed ledgers to their projects including IoT solutions and thus add value to what their customers get. The technology of distributed ledgers promises a whole new level of delivering value so that even brief exploration of a relevant cloud service such as Azure Blockchain Workbench requires a separate detailed post. And, of course, we are totally up for the idea of zooming in the Azure Blockchain service if our readers are as excited as we are. Are you? Stay with us, follow our updates, and share your ideas what you’d like to read about next. Thanks for reading!